The optional professionally guided tour involves taking a Deluxe motor coach to Nikko National park, a designated World Cultural Heritage site. Nikko is a gem of natural beauty and home to some of the most spectacular examples of ancient architecture in Japan. The tour includes a visit to the magnificent Toshogu shrine, which houses the Mausoleum of the founder of the Tokugawa Shogunate. We also visit the stunning Tamozawa Imperial Villa, constructed in 1899 and which served as the Tokyo residence of the Tokugawa family and later a summer retreat for the Imperial Family. Afterwards we visit the spectacular Kirifuri waterfall. The tour disbands on arrival in Ginza & Shinjuku at around 7-8pm, where you will have ample restaurants and bars to choose from for your evening meal and entertainment. If you prefer, you can return to your hotel and our tour guide will be happy to provide you with information on return transportation/directions. Overnight in Tokyo. The option tour includes visiting the colourful Heian Jingu Shrine and inner garden and ponds. Next we explore Sanjusangendo Hall, a renowned long wooden hall housing all of 1, 001 statues that date back to the 13th century. Finally we visit the magnificent Kiyomizu Temple with spectacular views across the entire city. (This highly recommended afternoon tour can be included at time of booking). Optional overnight stay in a traditional Japanese Ryokan is available (inc Japanese traditional Breakfast & full course Evening Dinner). Optional extension of 2 nights to Hiroshima & Miyajima, or 1 full day tour available - Contact us for details. You will be met at your hotel and transferred to the futuristic Kansai International Airport in Osaka for your departure flight homeward. The price may be different around the bank holidays in the UK, and the festival period in China & Japan. Please contact us for confirmation. All airport/hotel transfers within China and Japan. Selections of quality accommodation in well furnished rooms with private facilities. In China it is 4 star hotels, in Japan it is 3/4 star hotels. Upgrade options available. Sightseeing tours by professional qualified English-speaking tour guides. Tips for guides and drivers in China - recommend £3 for guide and £2 for driver per day but not compulsory. No tipping is expected in Japan. Chinese visa - we can provide service, currently £110/person. No visa is required to Japan. 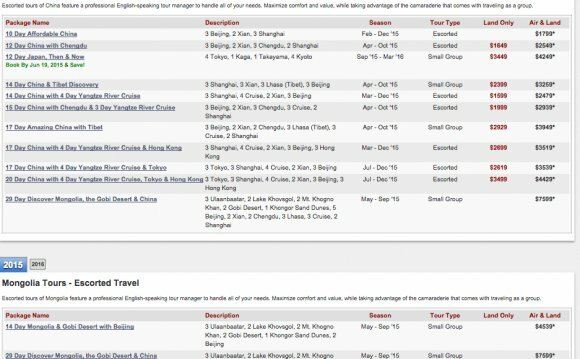 Your tour arrangements Small group guided tour in China and guided city coach day tours in Japan (excluding free days). The tour includes airport greeting and transfer service in each destination, entrance fees, transfers between destinations, internal flights in China, luggage transfer in Japan and transport included whilst on all guided tours. Tours in China & Japan are all with professional English speaking local guides. This tour is suitable for all ages of travellers. Flights As agent of many airline consolidators, we can obtain flights in various class, with all reputable airlines. Please let us know you prefered airline at booking stage.